2016 seems to be the pivotal year in the recorded music industry. Although no annual statistics have been published until yet, we can take it for granted that the positive trend of 2015 continued in 2016. In 2015, the global recorded music market expanded by 3.4%. The US-market slightly grew by 0.9% and the German recorded music sales even increased by 4.4%. The booming music streaming market was of course the main driver for the economic recovery of the recorded music business in 2015 and we can expect a further growth in 2016 and the upcoming year. The revenue growth of the streaming business compensated for the decline in CD sales, despite decreasing music download sales as highlighted in “The fate of the CD – an international CD-market analysis”. However, an in-depth analysis of the statistics unveils very different market dynamics in various countries. 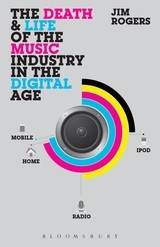 Whereas music streaming is the main business of the recorded music industry in Scandinavia, CD sales are still relevant in Germany and in Japan (see “The Music Streaming Market Revisited, 2011-2015”).